What is with us Dubai residents? Whether it’s Eid Al-Fitr, Eid Al-Adha, New Year’s Eve, or the National Day weekend, we bolt, boarding planes to the likes of Oman, Jordan, Sri Lanka, India, and Azerbaijan. Sure, they’re easy to get to and, sure, nothing beats crossing a country off your travel bucket list. But really? What about the unadulterated joy of discovering the largely unseen side of your own city? Or at least curling up with a book that will do the job for you? That is the very premise of UNCOMMON, a global book project that celebrates both the peculiar and the everyday of major cities through text, photographs, routes, insights, itineraries, poems, maps, and more. London, Cairo, Stockholm, and more metropolises have been uncovered, but what we’re thrilled about is the release of Uncommon Dubai+. 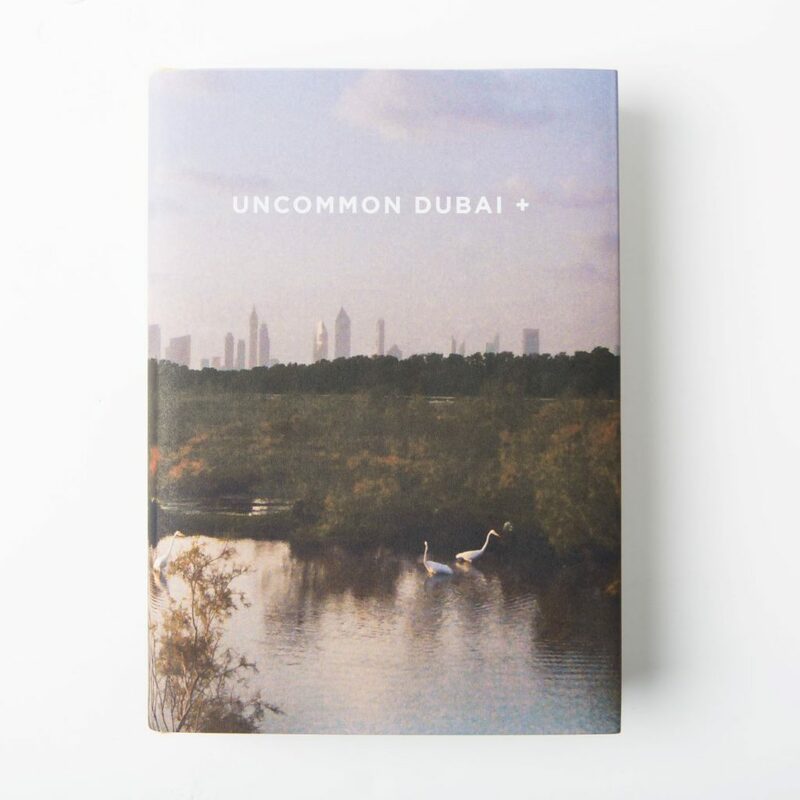 The second edition on Dubai in the UNCOMMON book series, it brings together writers, journalists, historians, filmmakers, illustrators, artists, and photographers who seek to somehow communicate the essence of their city. What follows is a multisensory journey through the aspects of Dubai that you know practically nothing about: the cultural significance of camel racing, the role of makeshift cricket fields in forming memories, the sense of community formed by the barbershops of Hor Al-Anz. Further afield, you can explore everything from the archaeological finds of crocodiles and elepants in Abu Dhabi to the backstreets of Ras Al Khaimah, all from the comfort of your home. Can you think of a better way to mark National Day?